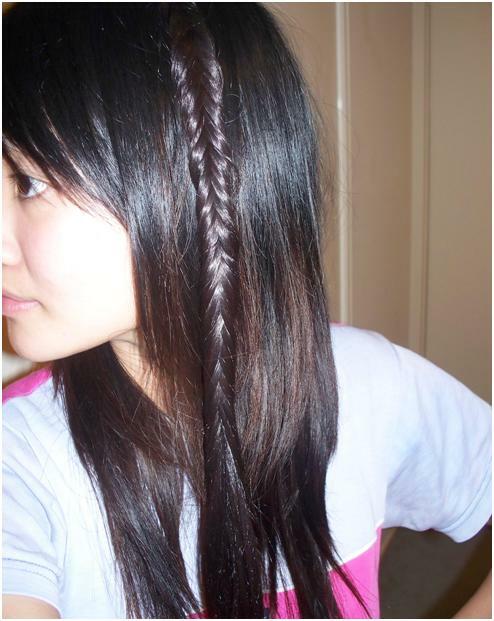 So anyway, this blog will be about fishtail braids. 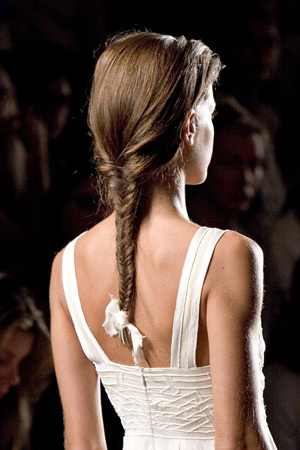 Some of you are probably unaware of what a fishtail braid is. Well, it is really similar to the usual hair plait with 3 strands of hair, except a fishtail braid requires... 2 strands and 2 slimmer strands. Sounds confusing I know. 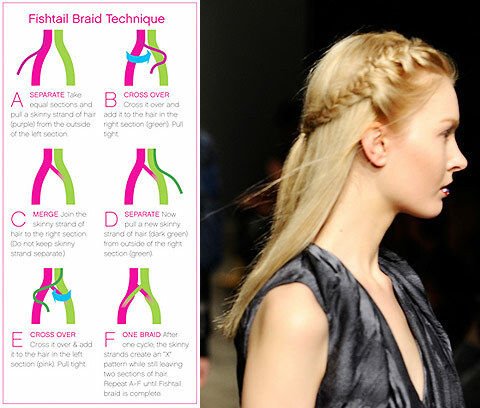 It is much more complicated than a plait and in my opinion, it takes longer. Watching a tutorial of it made me think, 'wow it looks really hard'. I knew I couldn't have done it on my own hair without testing it out first etc. so I tried braiding it on my hair extension. I must say it was a really good idea because I was able to see whether I was doing it right and braiding in front of me and it would have been better than doing it behind me or on one side of my hair. I won't be making a tutorial on how to make the fishtail braid (maybe if it's requested) but I can show a tutorial picture. I haven't really perfected the technique and I do still find it quite challenging to do. 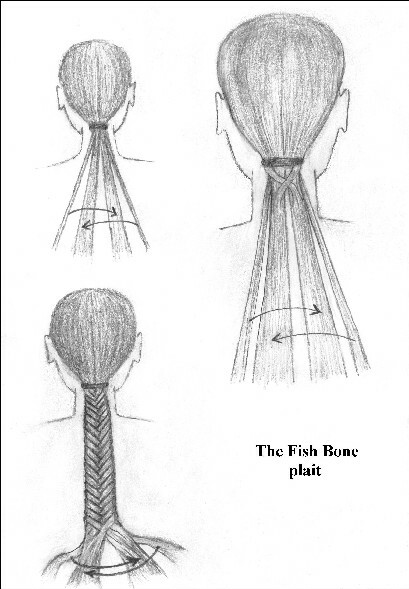 Also, I won't be uploading the YouTube tutorial video on my blog purely because I haven't gotten permission, however it can be found on YouTube by searching 'fishtail braid'. First I will show my first attempt with my hair extension and then with my real hair. Close up of the first half. My hair is half brown due to regrowth and I didn't want to re-dye my hair. I still can't believe that the D.I.Y hair dye has lasted for more than a year! gosh, you're so good at it. I can't do it :S maybe cause i have short hair but also because LOL when i try with extentions it hurt >.<! lol you're so fast! i haven't put this on twitter yet haha. my hair is not long enough to do this *cries*... but I'm growing my hair out.. perhaps need to wait a half year? My hair's really short, but it still worked! I mean its not too long, its the same length as when i try to braid it. How long is your hair? Mine hangs just above my shoulders. I like your blog, I'm following now!